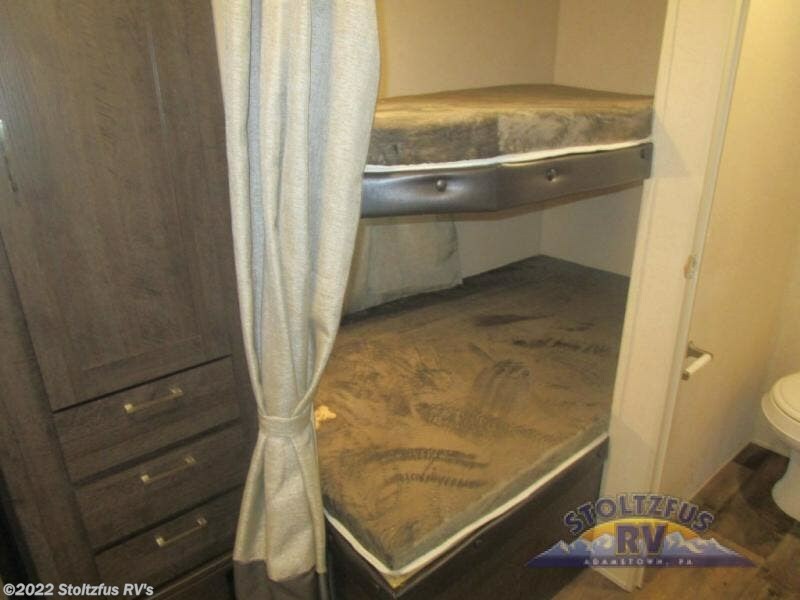 There is plenty of sleeping space in this single slide out Salem 27DBUD travel trailer. 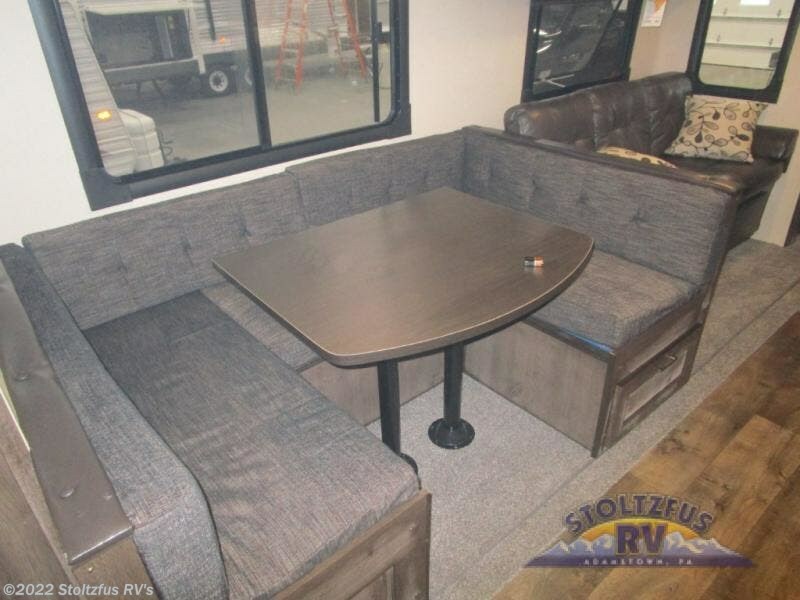 In the rear there is a set of stacked double beds, both the dinette and sofa easily convert into additional sleeping space, and in the bedroom there is a queen bed. 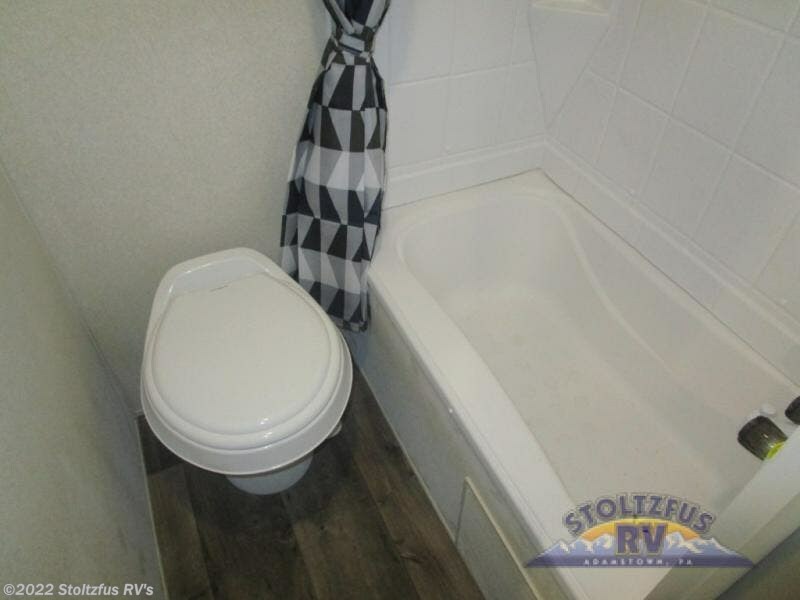 The rear bathroom features a shower/tub and toilet, plus there is a sink with a medicine cabinet just around the corner. 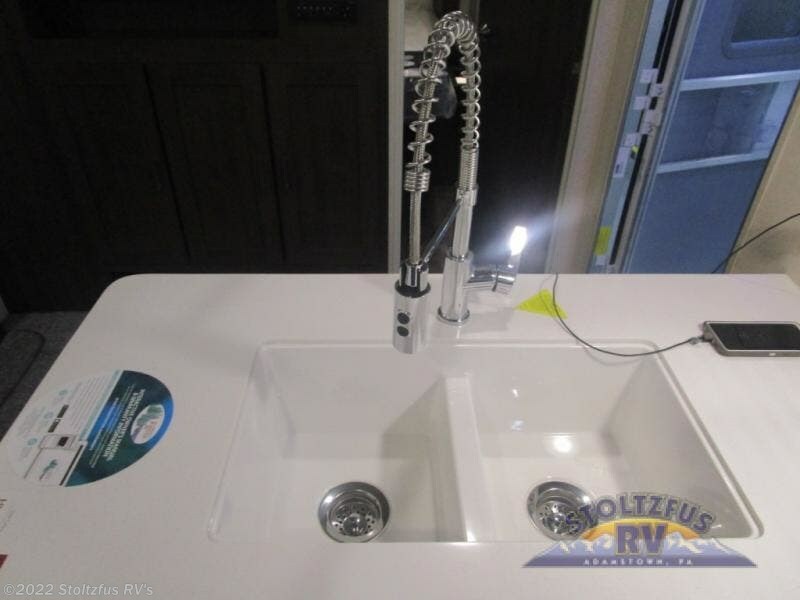 Meal prep is easy with this kitchen. 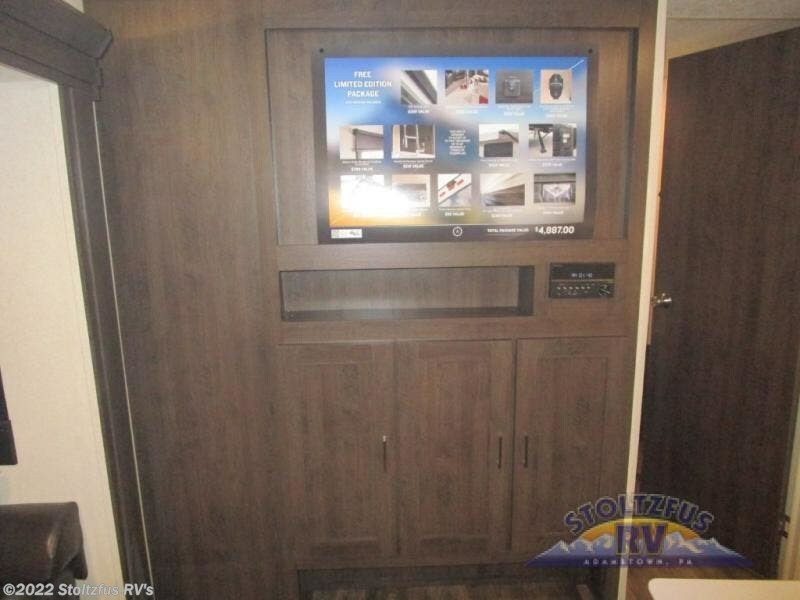 You will find all of the appliances along the curbside wall, and almost straight in from the door there is a swivel box where you can place a TV. 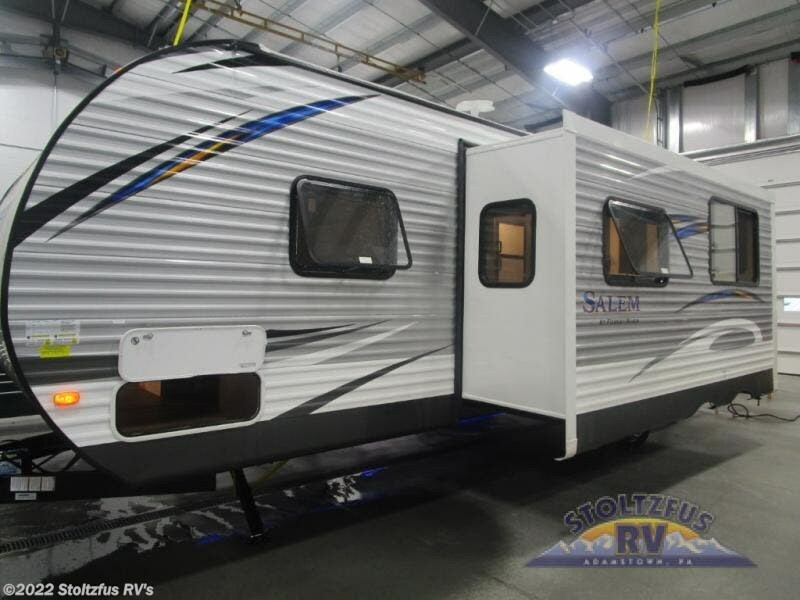 Outside you will find a 16' awning and exterior storage with the pass through front storage plus so much more! 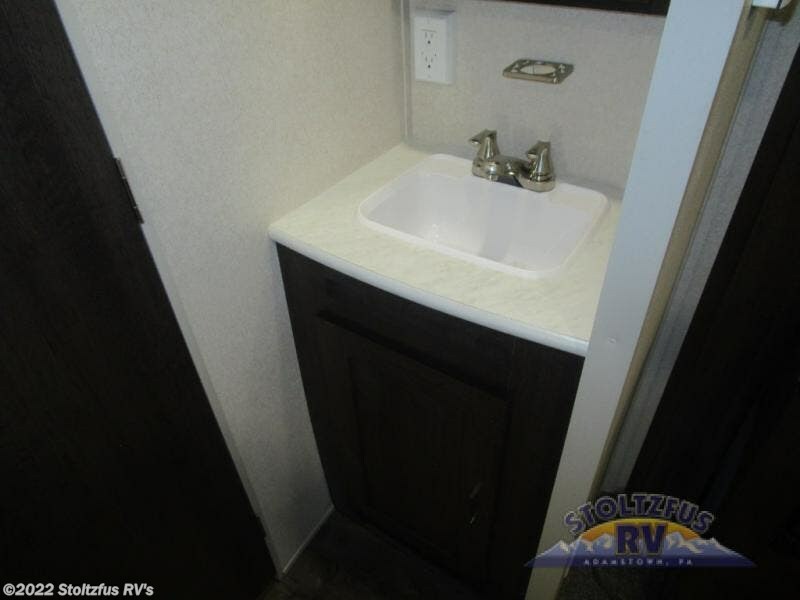 Plan to make plenty of memories with your family when you choose to camp in a Forest River Salem travel trailer! 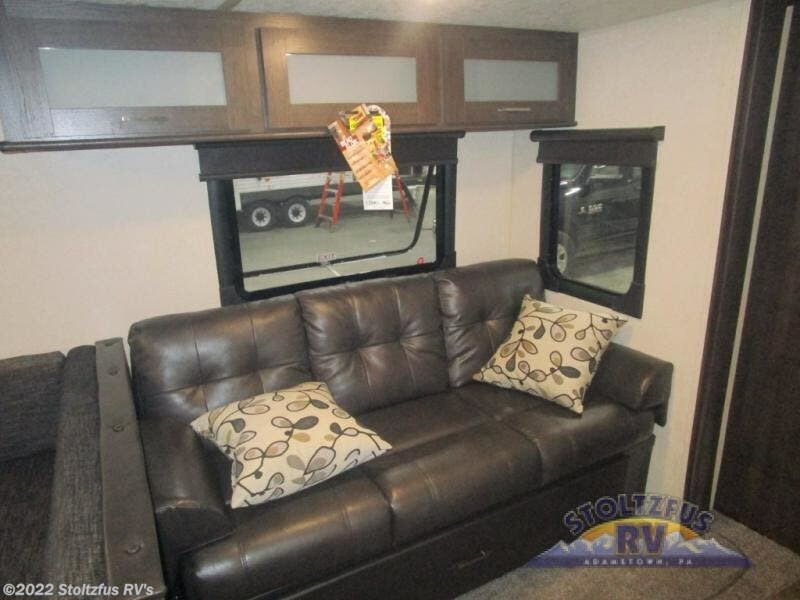 Along the exterior you will find features such as a full walk on one-piece Superflex roof with a 12 year warranty and a vinyl patio awning that is cold crack and mildew resistant. 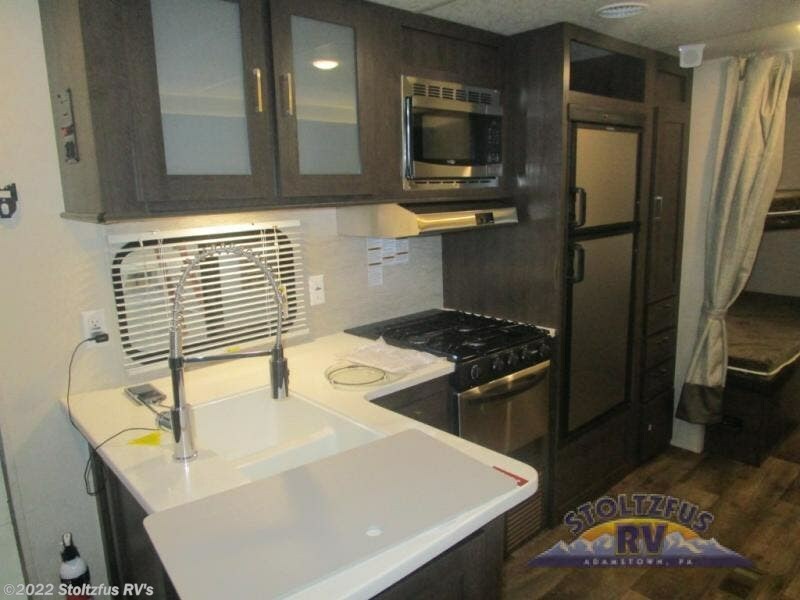 The kitchens are sure to draw your attention with the Dometic double door refrigerator, Beauflor One piece plank wood linoleum flooring, plus the abundance of cabinet storage. 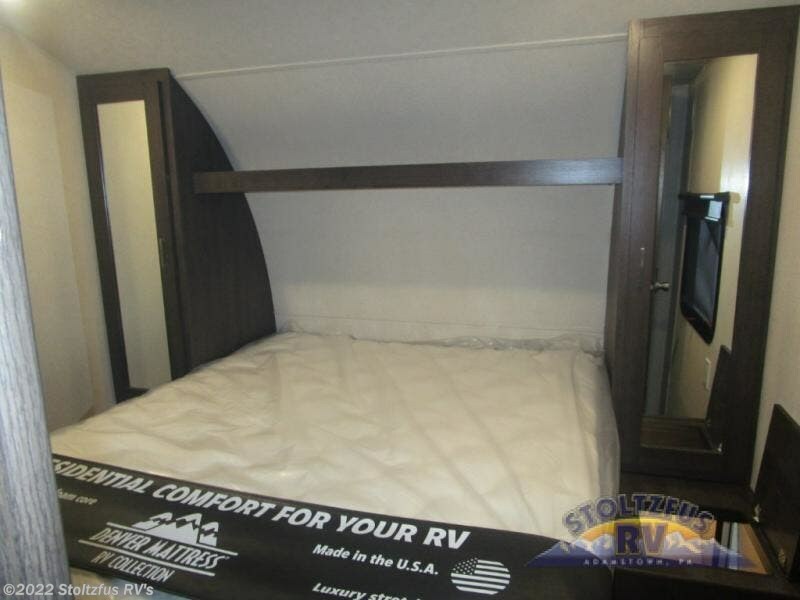 In the bedrooms you will find a residential bed mattress, plus a designer comforter, and a strut lifted storage area under the bed. Why wait? 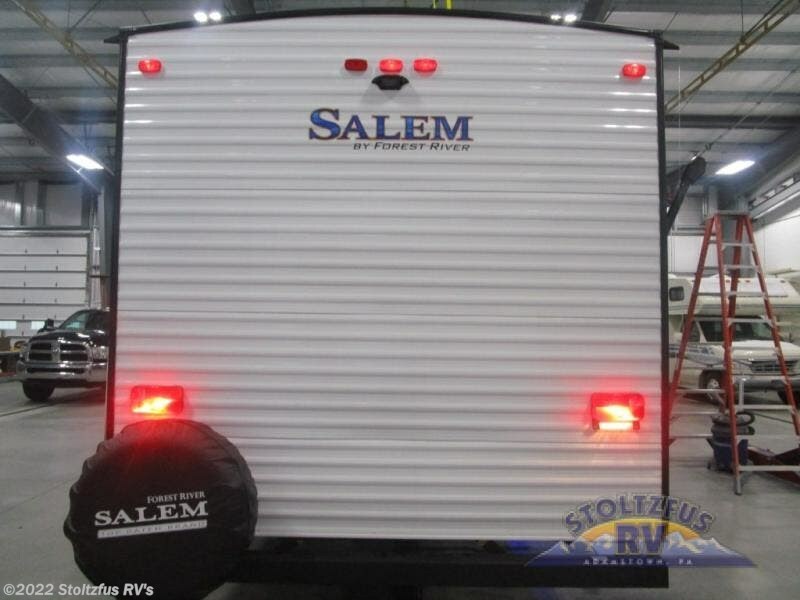 Come select your Salem travel trailer today, and begin camping tomorrow! 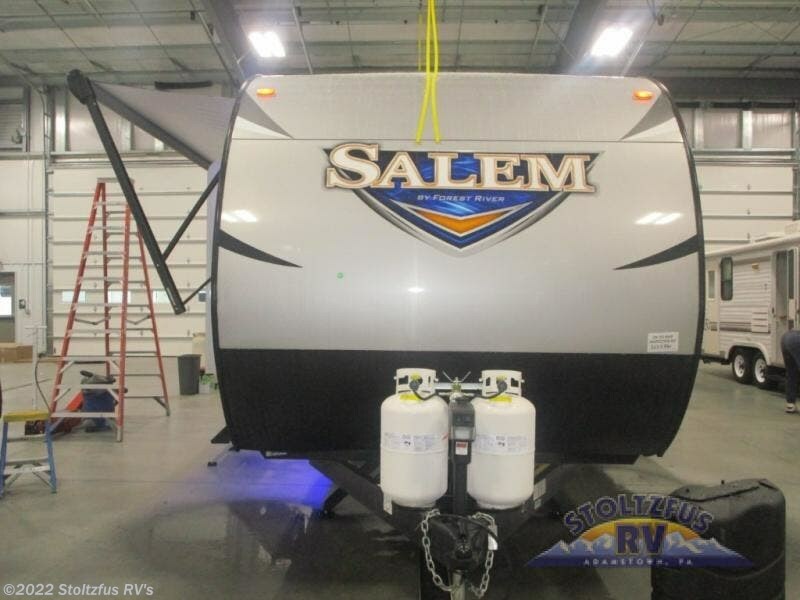 Check out Stock # 16000 - 2018 Forest River Salem 27DBUD on forestriverrvsource.com!